The NeoVictoria Project presents “The Wild Hunt”. 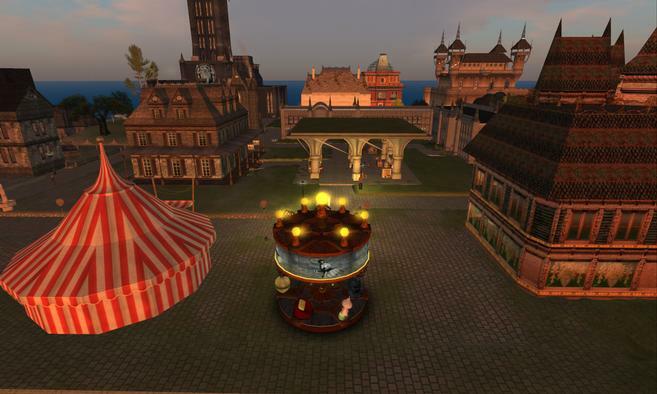 Four days of non-stop roleplay, celebrating the NeoVictoria Project’s seventh year in Second Life! This series of roleplay events begins on Thursday, 20 September 2018, with the re-appearance of the mysterious Greenman. Everyone is invited to roleplay with us! In NeoVictoria, we do free-form dark roleplay. Free-form means there is no script; scenes evolve out of real-time character interactions. Dark roleplay means characters may act in aggressive, predatory, criminal and/or plain uncomfortable ways. We use a simple dice-based wearable HUD called the NeoVictoria Roleplay Tool; avatars must wear this to see the roleplay chat. The item is free and available in our Visitor Center and various locations on our out-of-character skymall. Time: Thursday, 20 September from 3 to 6 PM, SL-Time. Event Description: The Green Man returns to NeoLondon and tells of his plight. Time: Friday, 21 September from 11 AM to 1 PM, SL-Time. Event Description: Will the brave citizens of NeoLondon be able to come up with a plan to help the hunted hunter? Time: Saturday, 22 September from 6 to 9 PM, SL-Time. Event Description: Preparations are being made for the inevitable. Event Description: The spirits of the Wild Hunt arrive. The NeoVictoria Project presents “A Legacy of War”. This series of roleplay events begins on Wednesday, 20 September 2017, with the arrival of sky-pirates! Everyone is invited to roleplay with us! Time: Wednesday, 20 September from 6 PM, SL-Time. Event Description: The pirates arrive and dock at the lighthouse. Time: Thursday, 21 September from 6 PM, SL-Time. Event Description: The engine on the pirate’s airship starts acting up …odd things occur. Time: Friday, 22 September from 6 PM, SL-Time. Event Description: The pirates jettison the engine, which destroys the lighthouse. Event Description: The NeoLondoners build a new lighthouse to replace the one that was destroyed.